Conducted Two Days Workshop on Python Programing in association with National Institute for Industrial Training on 15th and 16th May, 2017. Conducted a Seminar on “Our nearest star the Sun and India's first space mission Aditya.”, (Speaker: Prof. Dipankar Banerjee, Professor in Indian Institute of Astrophysics Member of Royal Astronomical Society, International Astronomical Union, Astronomical Society of India) on 17th May, 2017. Conducted Two Days Workshop on Industrial Automation Using PLC (Phase-II) in Association with ARDENT COMPUTECH PVT. LTD. on 22nd & 23rd April, 2016. Conducted a Seminar on Advanced Embedded System in Association with DATA CONTROL SYSTEM (Speaker: Mr. Krishnendu Dutta) on 30th January, 2016. Conducted a Seminar on Effectiveness of a Student for Being a Part of a Students' Chapter in Institute of Engineers, India on 28th April, 2016. 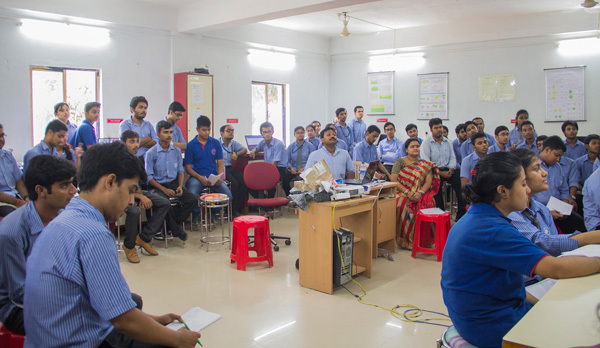 Conducted 2-Days Workshop on PCB Design Process In Association with OGMA TECHLAB on 27th and 28th October, 2016. Conducted Two Days Workshop on Industrial Automation Using PLC (Phase-I) in Association with ARDENT COMPUTECH PVT. LTD. on 15th & 16th October, 2015.